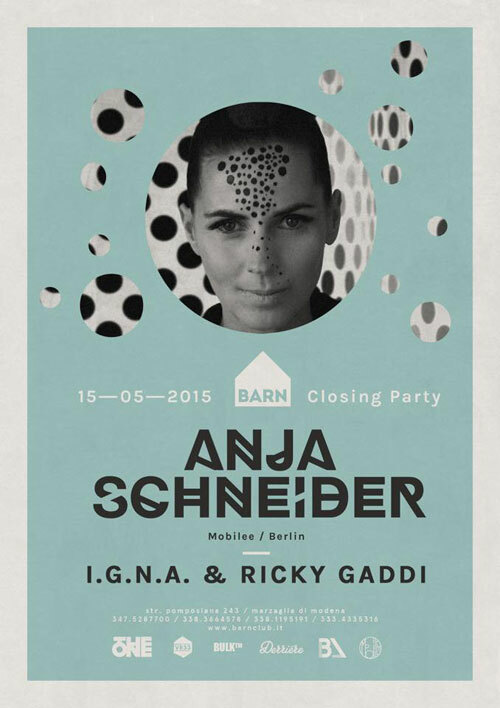 Anja Schneider is the mobilee records founder, broadcaster, internationally renowned DJ and producer once labeled a “perpetual motion machine”, and one of the hardest working individuals in the business. From her beginnings in radio to the ‘Hi Five’ anniversary year of mobilee, her ascension through the ranks has been fuelled by her strong work ethic, sharp tastemaker instinct, charming personality and innate musicality. Starting out as a producer for KissFM, Anja became a radio persona in her own right in 2000 for Fritz Radio. Armed with an engaging presentation style and impeccable taste, Anja’s ‘Under the Blue Moon’ program – which still airs to this day – resonated with Berlin’s music-loving masses and propelled her forward into a career as a club DJ. After her first forays into production in 2004, Anja joined forces with Ralf Kollmann to found mobilee records the following year. Anja’s keen ear defined the emergent imprint through its early releases, unearthing talented newcomers such as Sebo K and Pan-Pot, and paving the way for her celebrated mobilee debut with Sebo, Rancho Relaxo. Harnessing her unique interest in collaborative creativity, Anja’s list of studio partners has grown to include the likes of Paul Brtschitsch, Marco Resmann, and Lee Van Dowski. Anja’s 2008 opus, her debut album Beyond the Valley, was released to critical acclaim, with tracks “Belize” and “Safari” dominating Charts and dancefloors worldwide. Alongside her original work, an extensive list of remixes for labels such as Dessous, Crosstown Rebels, and Diynamic now line the annals of her impressive discography. As a label head Anja has focused not only on discovering fresh talent, but also on cultivating and developing the mobilee roster, pushing artists to challenge themselves and developing their careers as DJs and musicians. Under her guidance, mobilee and its sister label Leena Music have grown into one of Berlin’s most-watched staples, with a close-knit collection of producers and musicians that carve out a distinct sound in a city teeming with electronic music. Widely regarded as one of the world’s most respected DJs, Anja has traveled to almost every corner of the globe, making her mark at world-renowned clubs. 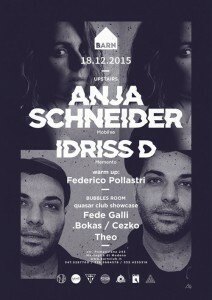 With ears honed through years of experience, Anja’s achievements as a producer, DJ and label head are far from peaking. Her development as a one-of-a-kind artist and businesswoman is just the start of what we can expect from Anja’s evolution, as she builds mobilee into the defining platform that stands in testament to the vision, passion, and love of music that drives her extended mobilee team in all that they do, and all that will come.